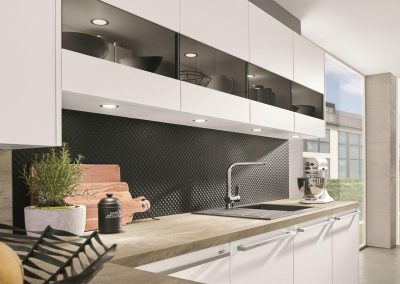 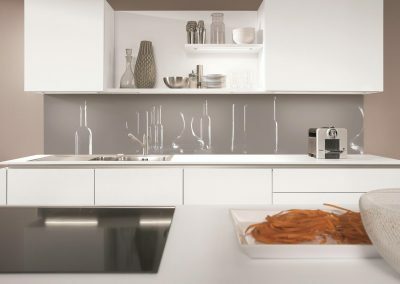 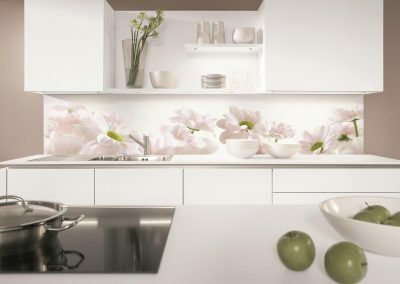 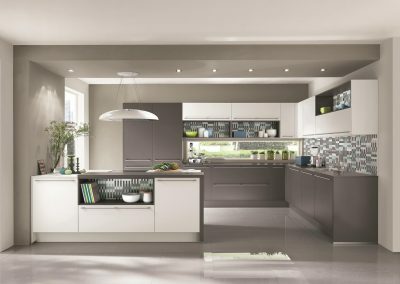 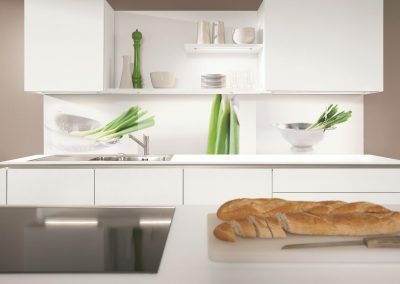 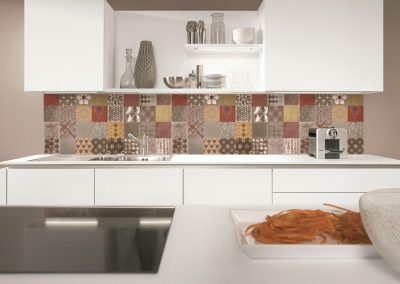 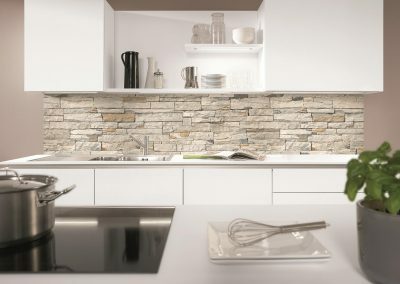 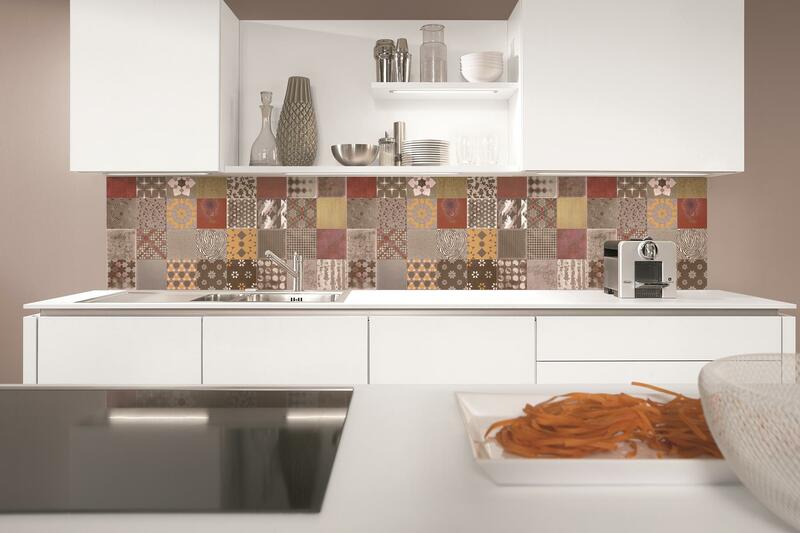 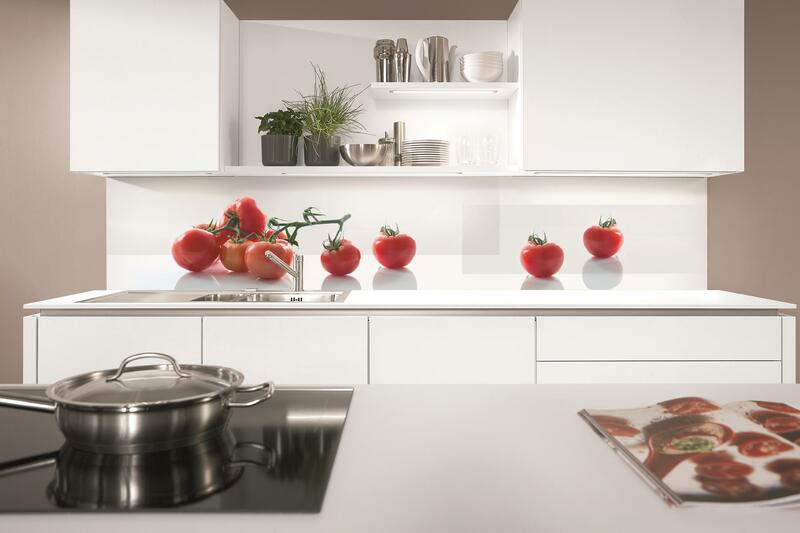 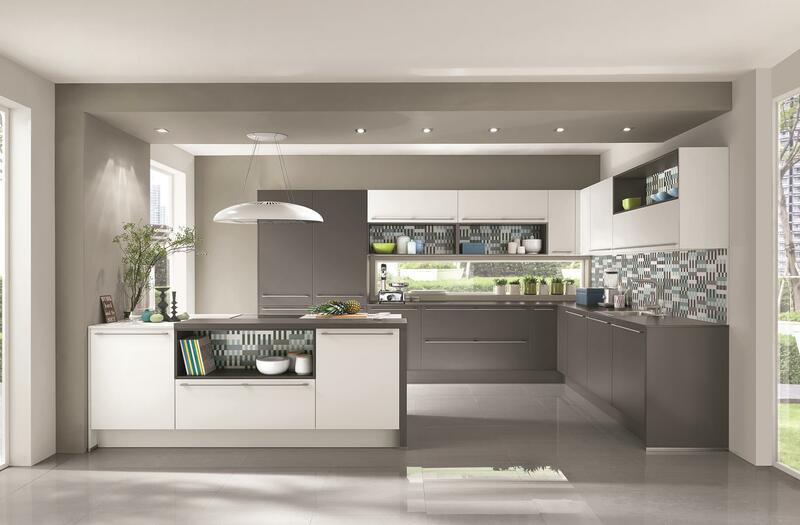 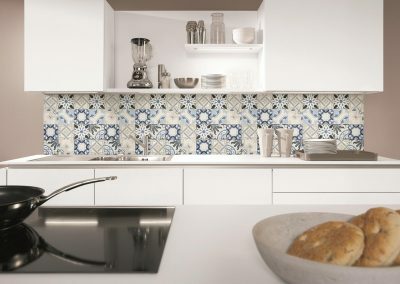 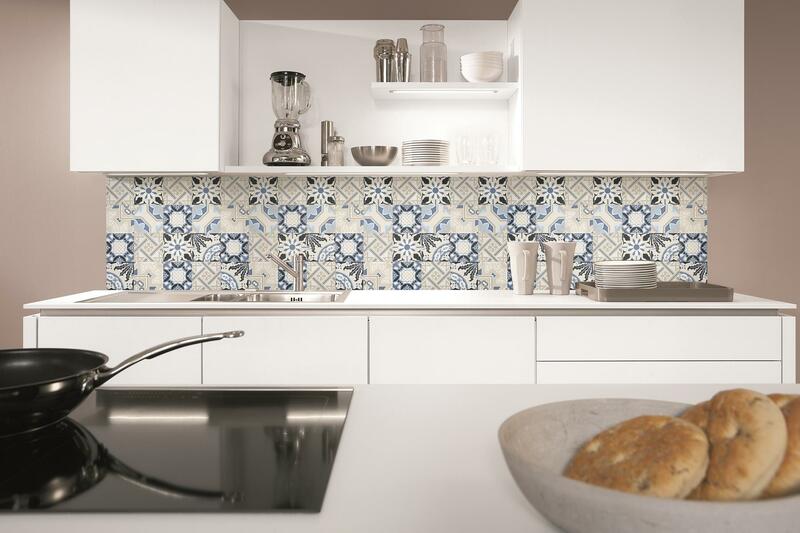 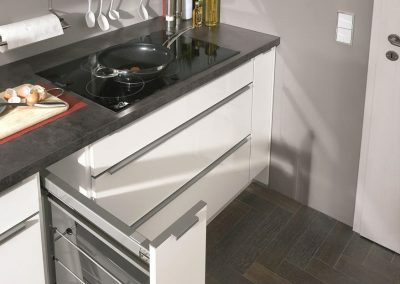 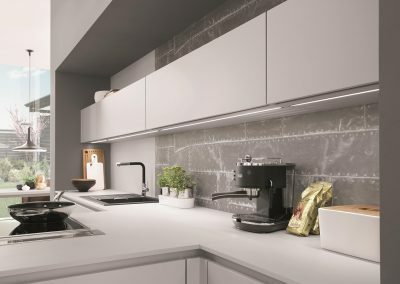 Our kitchens are the result of decades of experience and proven systems in combination with innovations, which makes the daily kitchen work a pleasure. 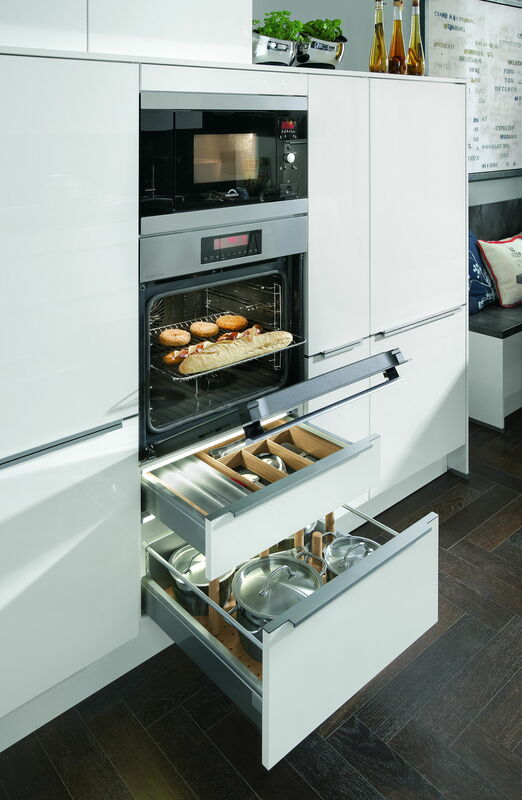 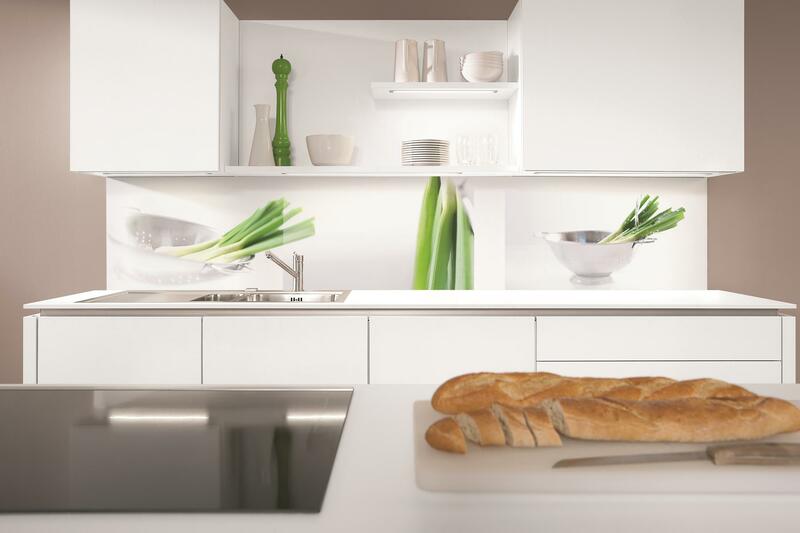 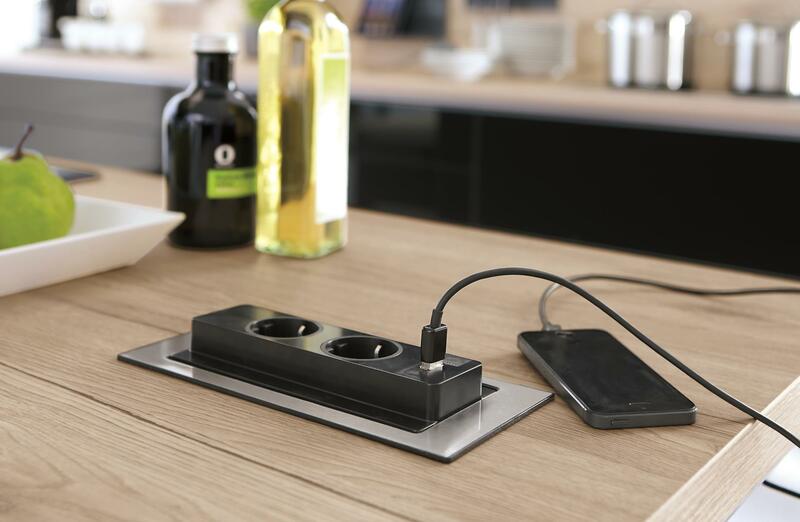 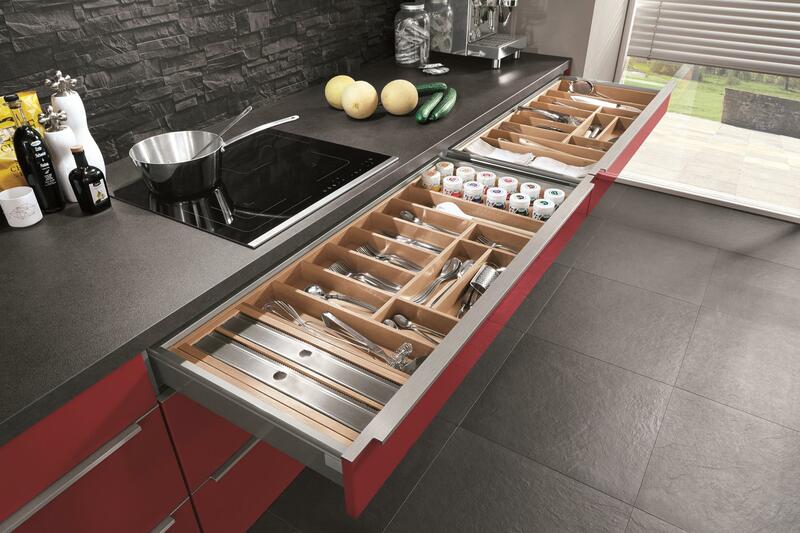 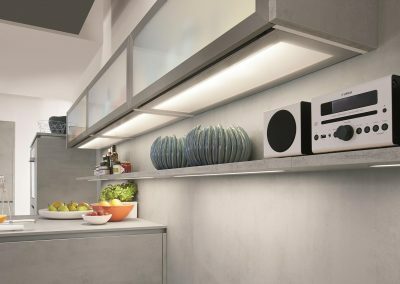 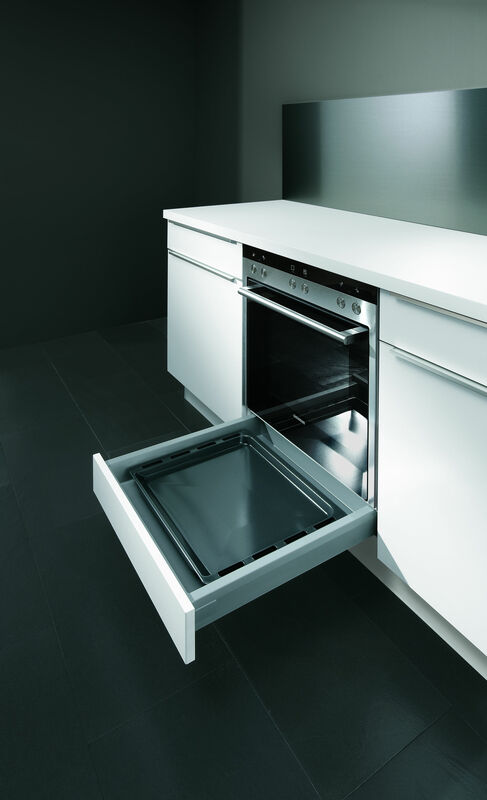 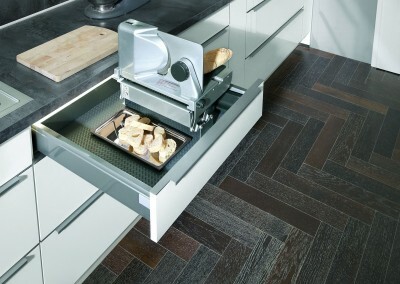 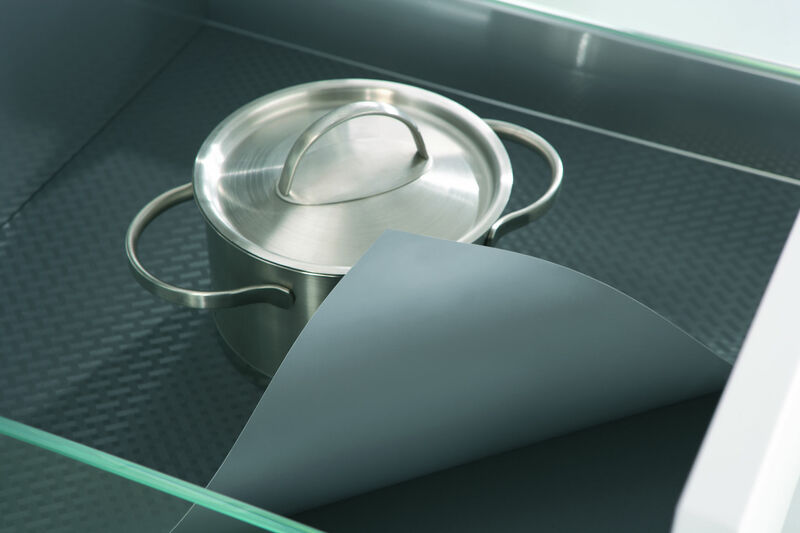 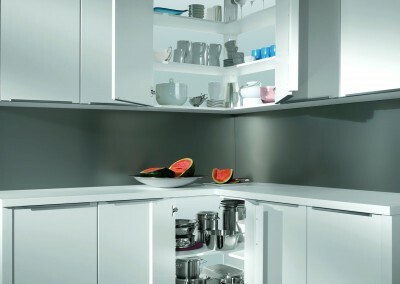 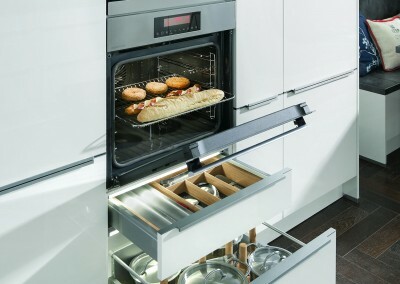 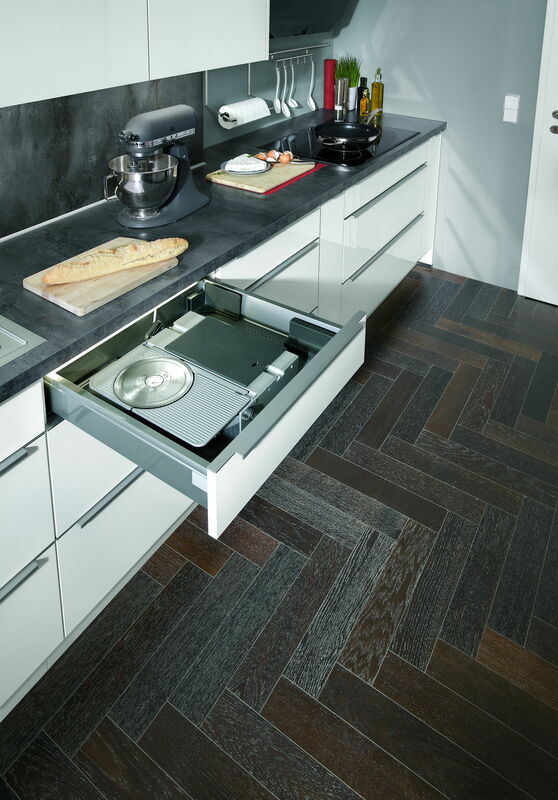 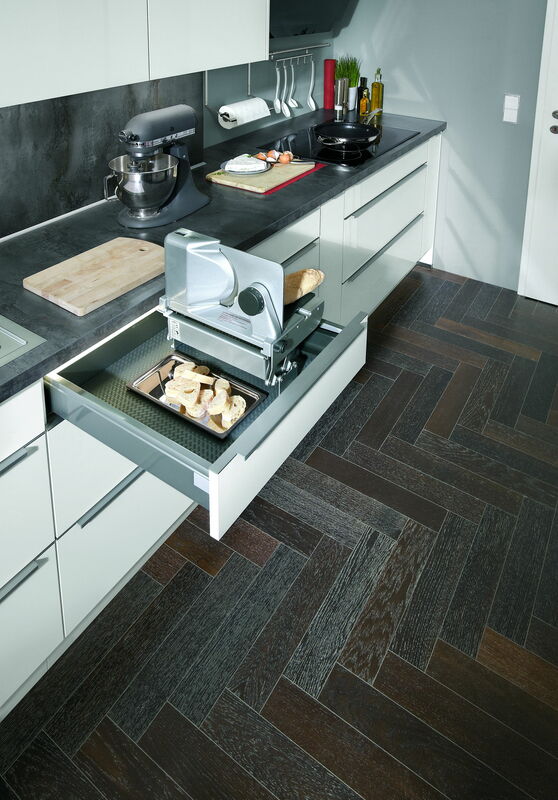 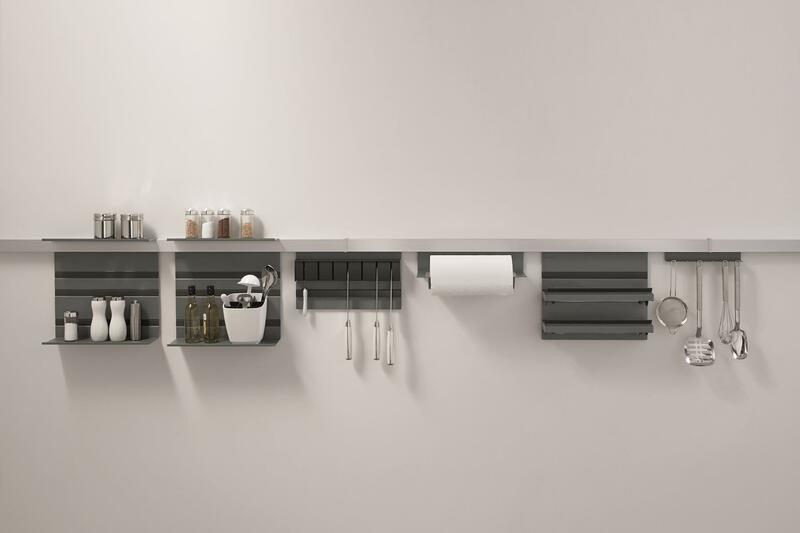 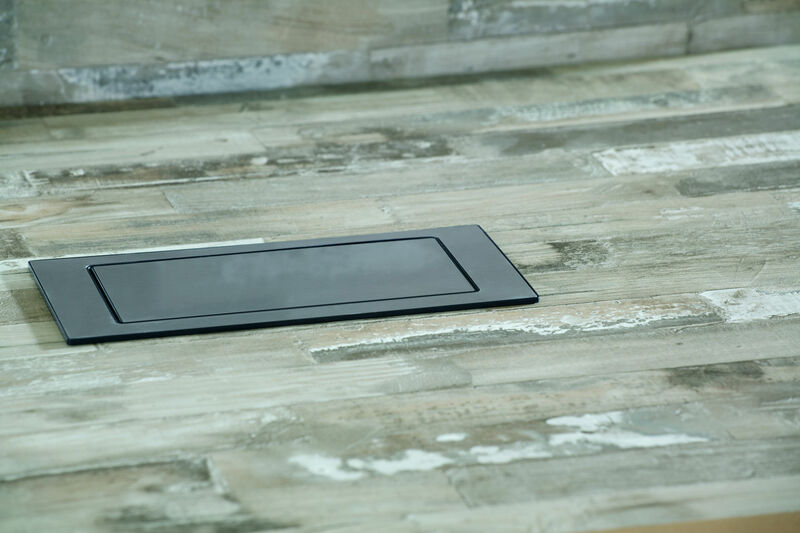 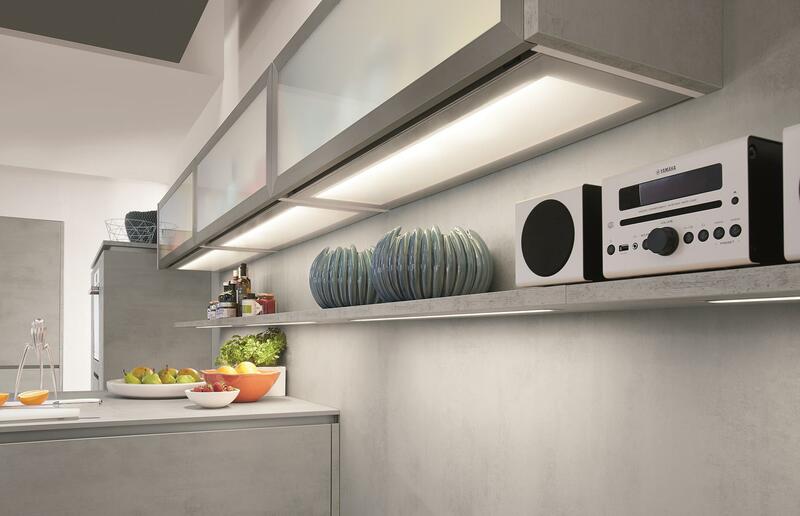 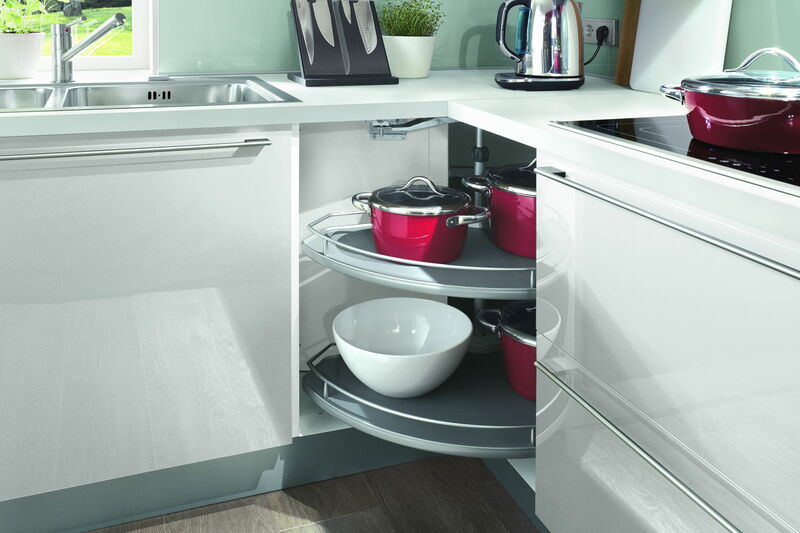 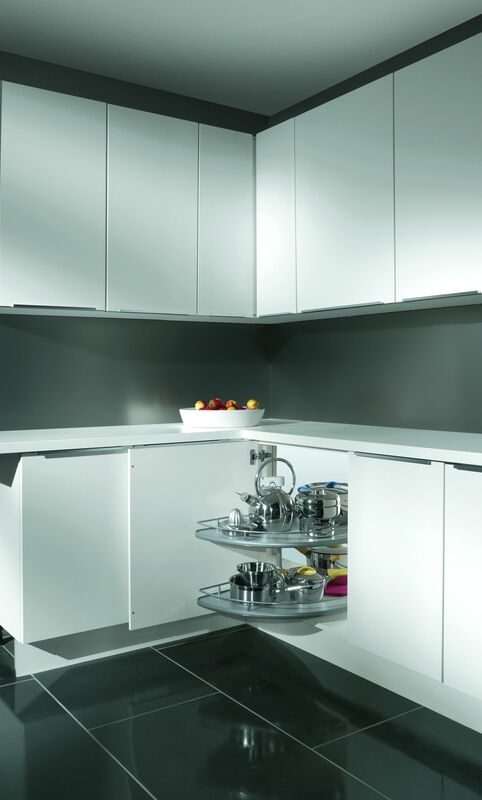 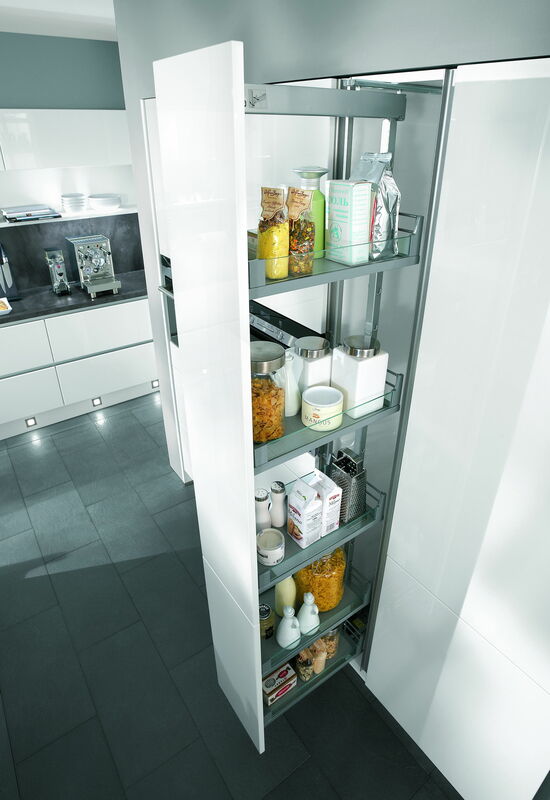 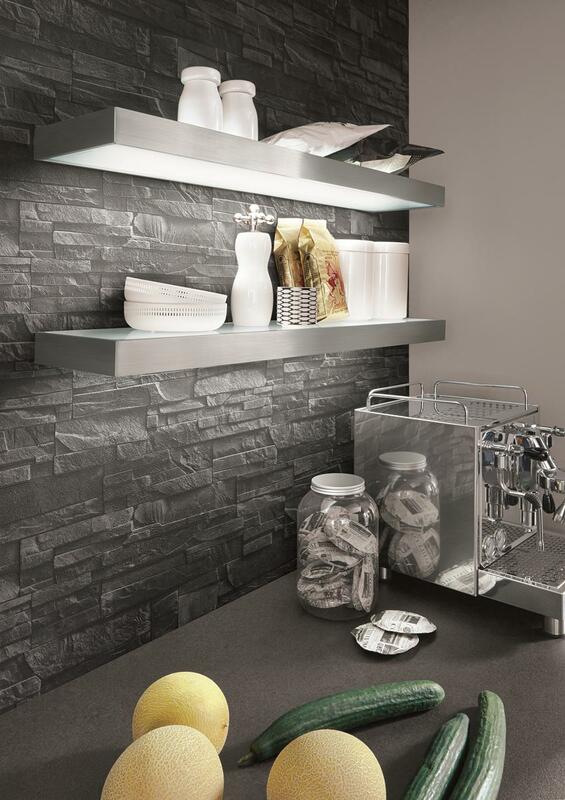 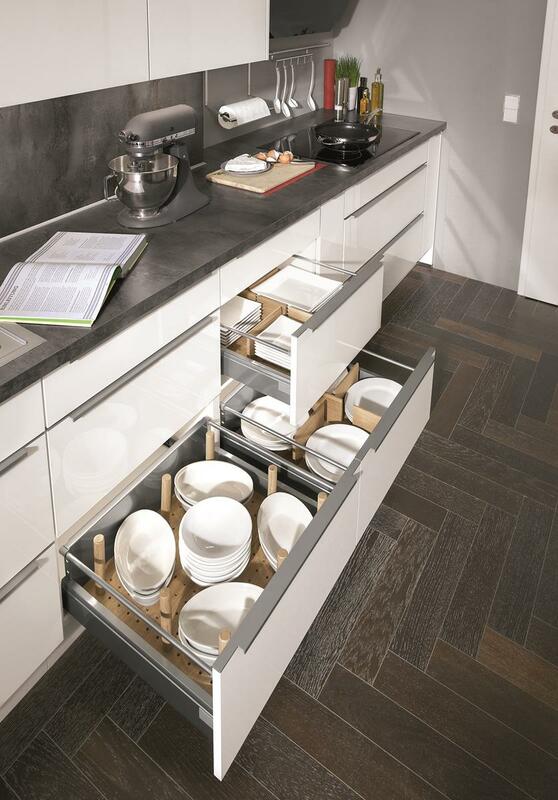 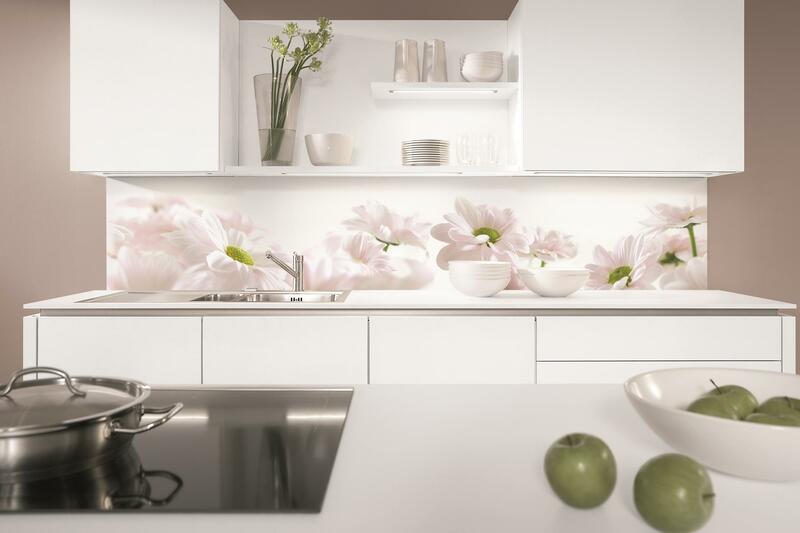 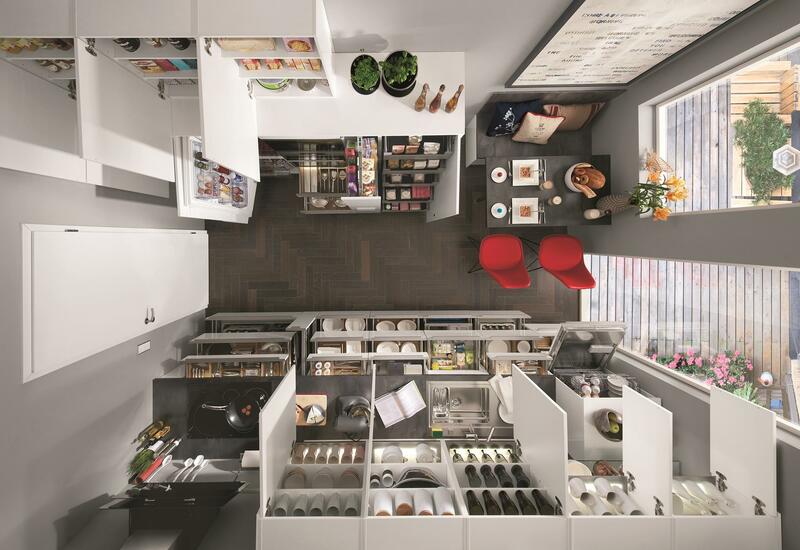 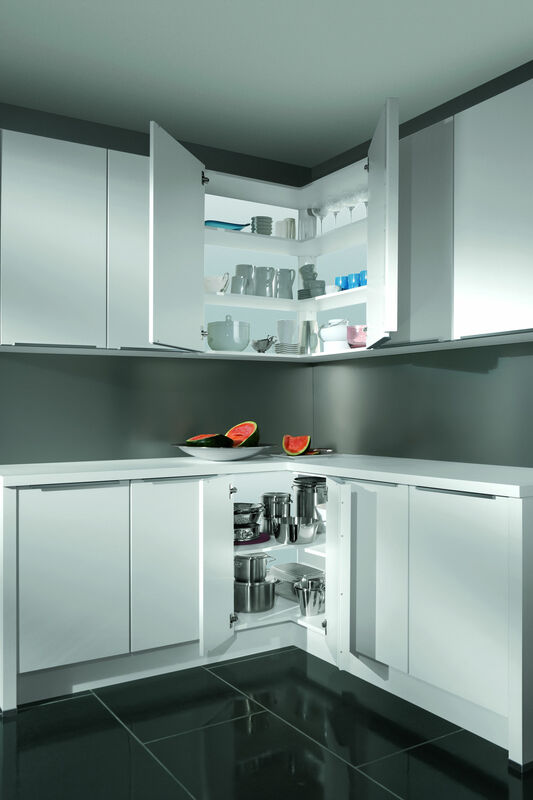 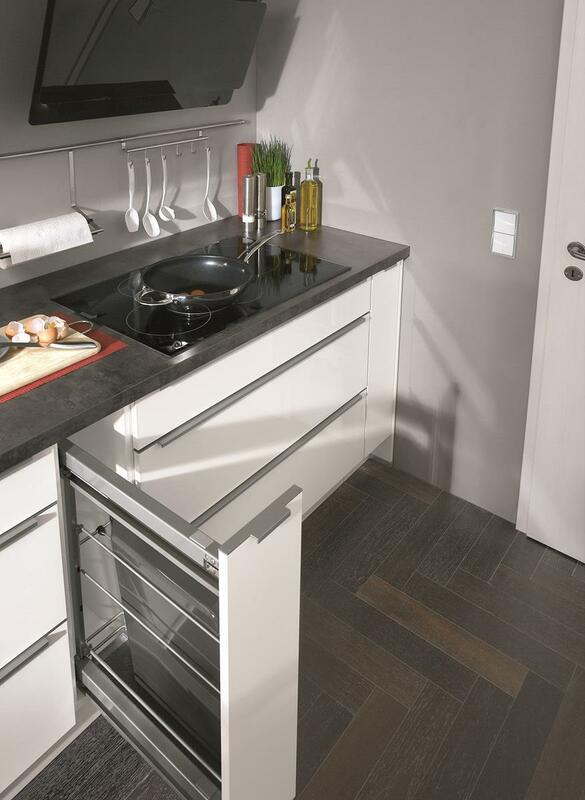 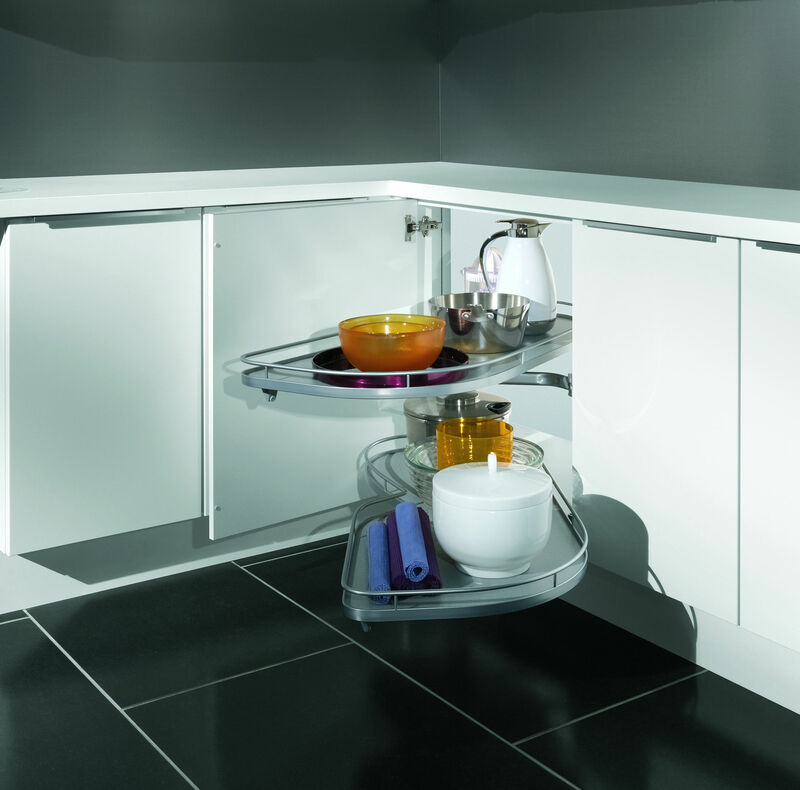 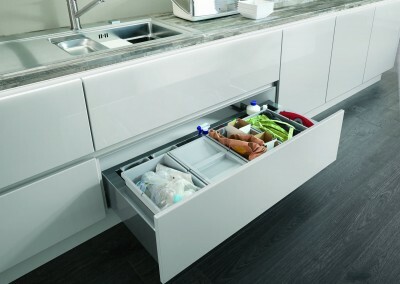 Our kitchens are standard equipped with the innovative drawer system Profi+. 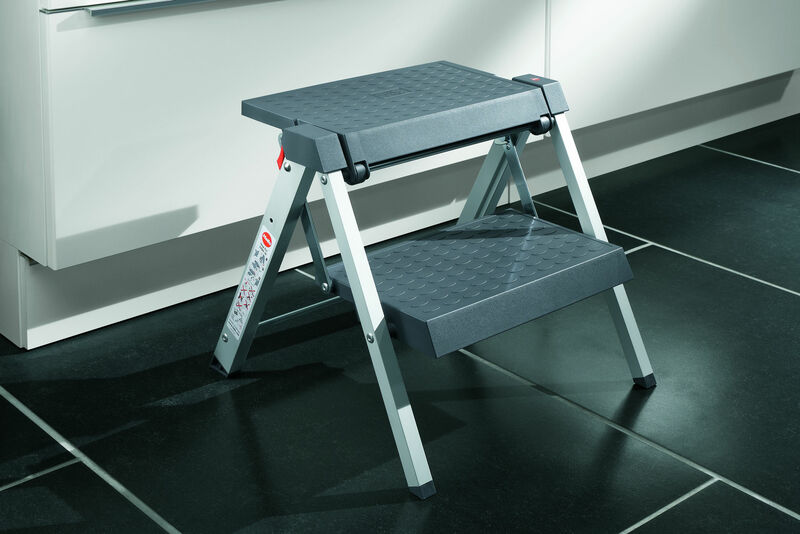 Profi + stands for unique ride comfort, exceptional stability , universal aesthetics and numerous equipment options. 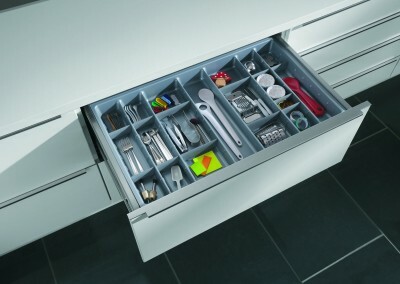 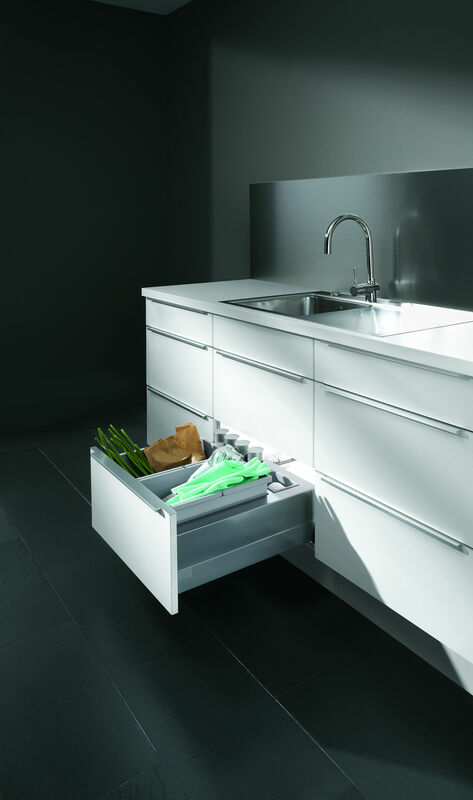 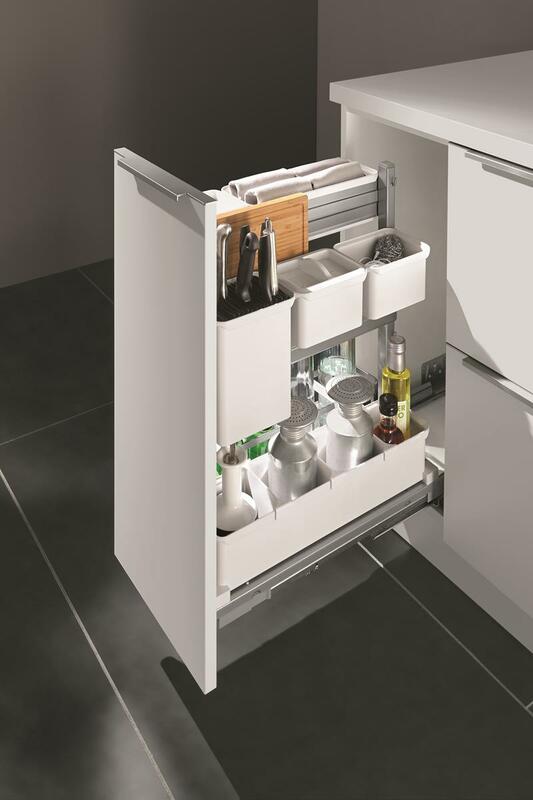 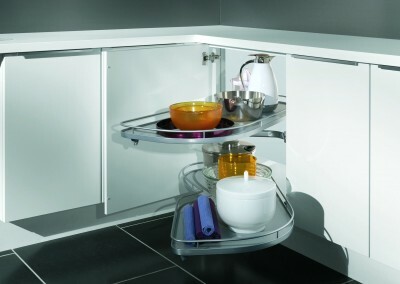 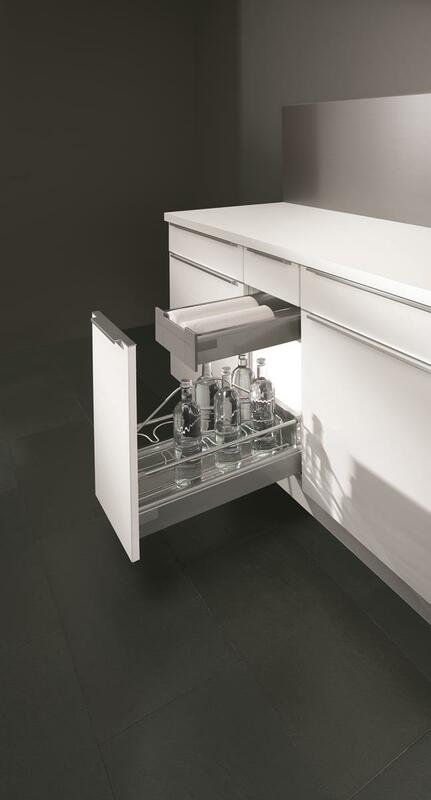 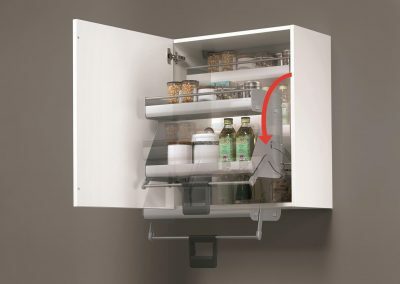 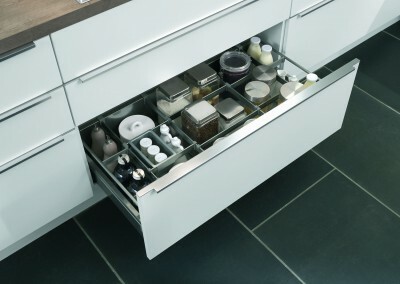 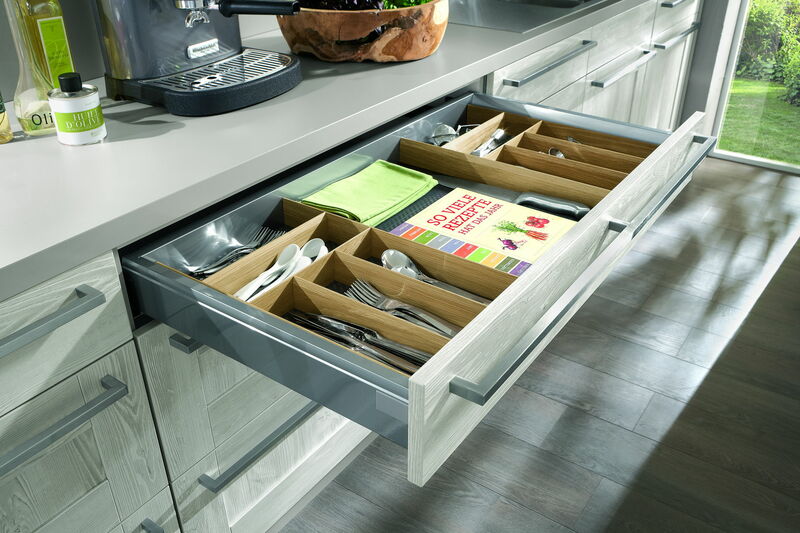 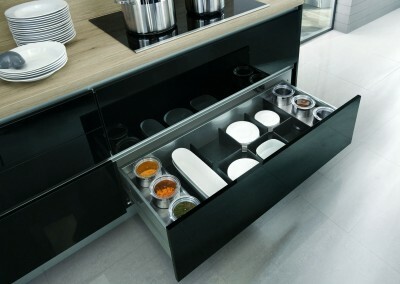 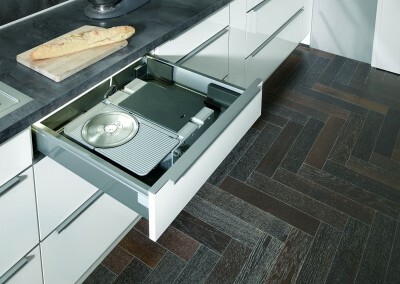 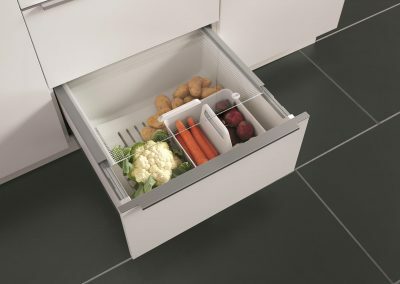 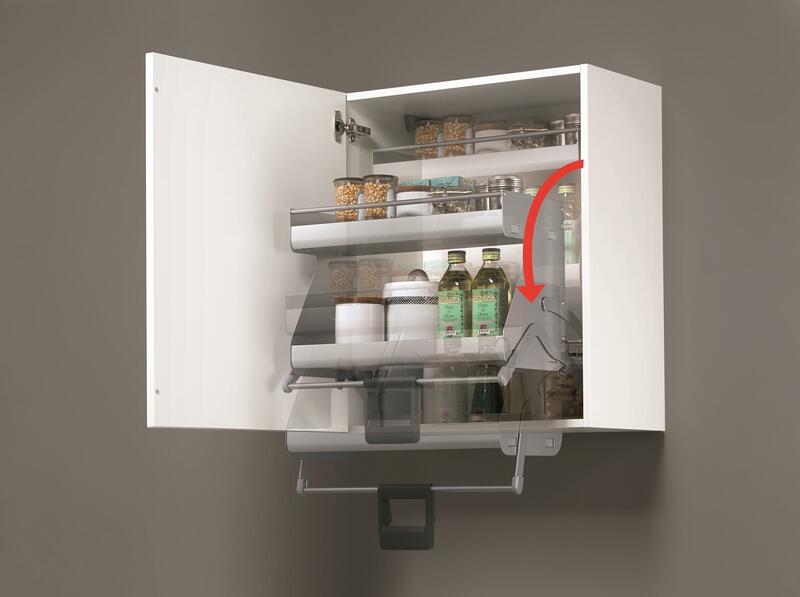 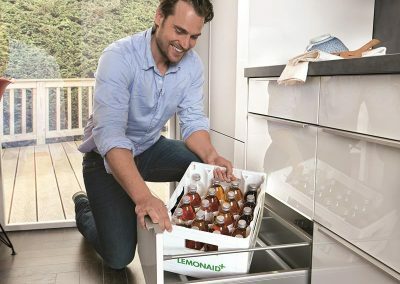 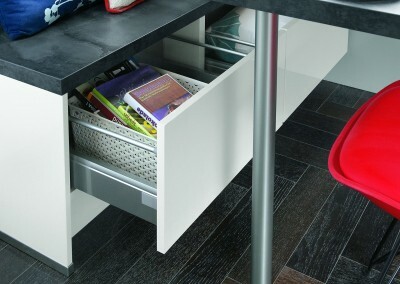 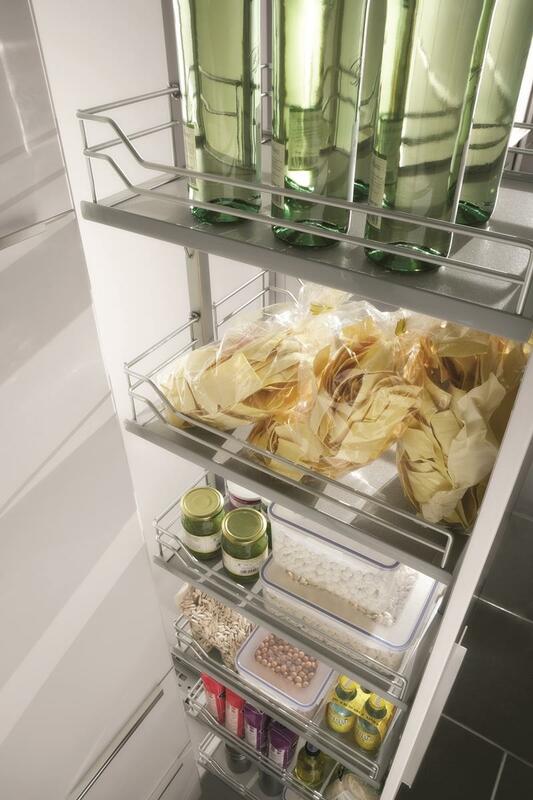 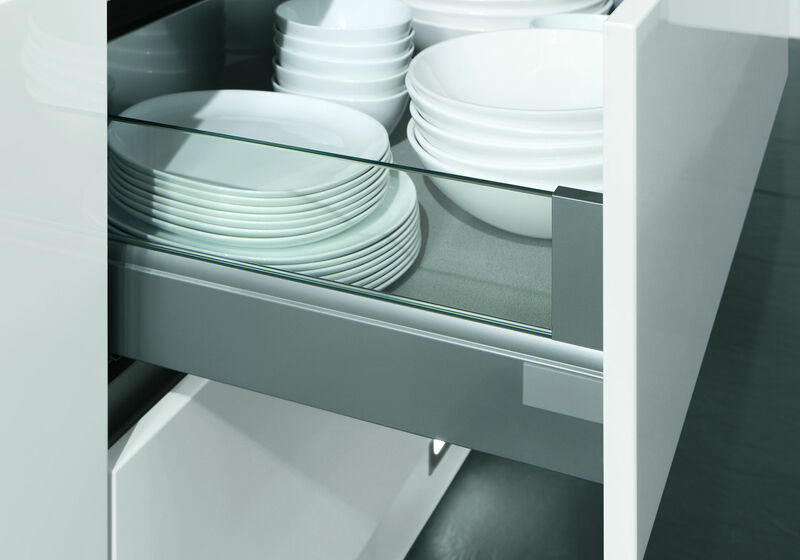 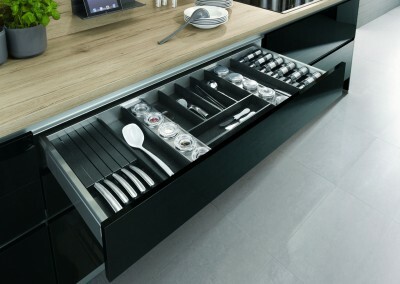 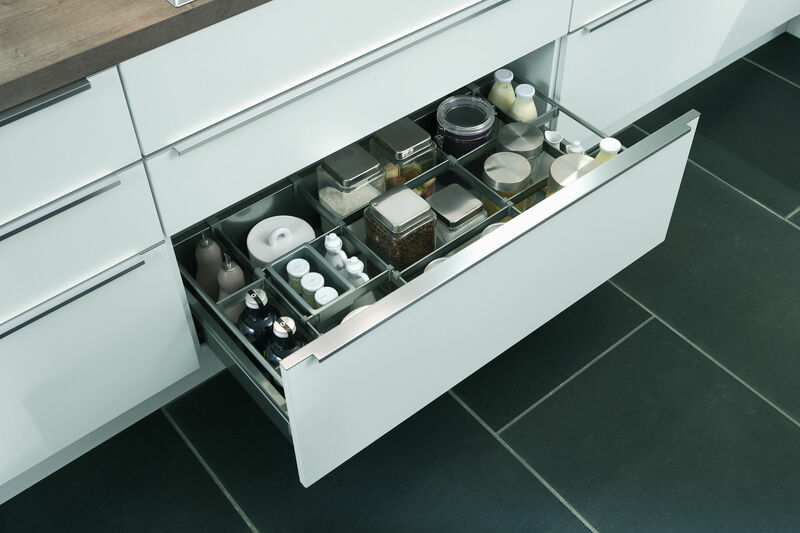 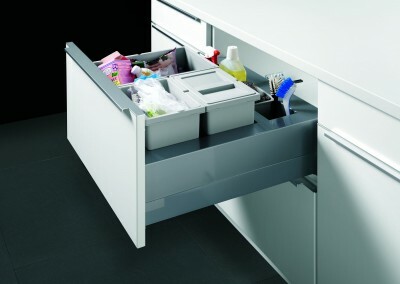 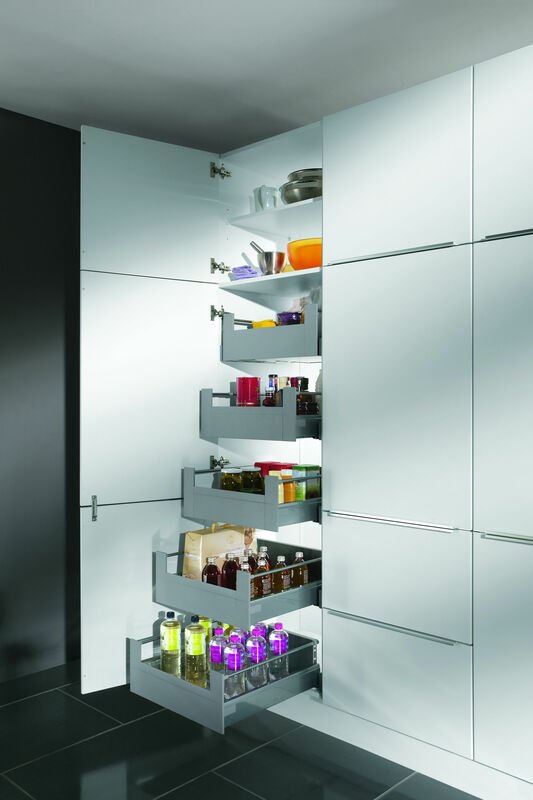 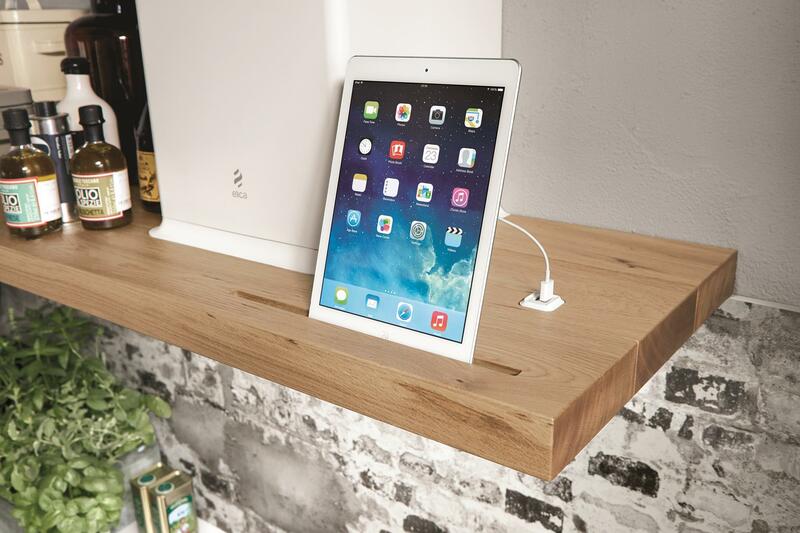 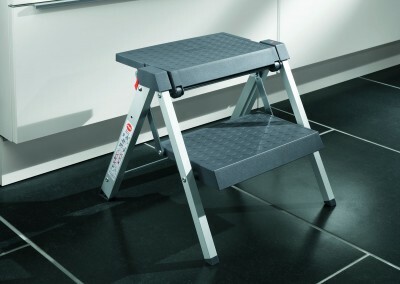 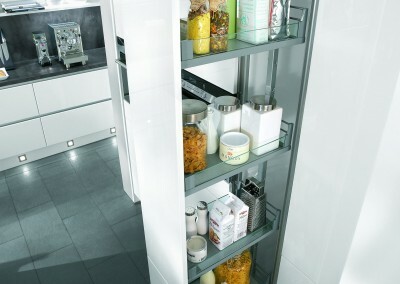 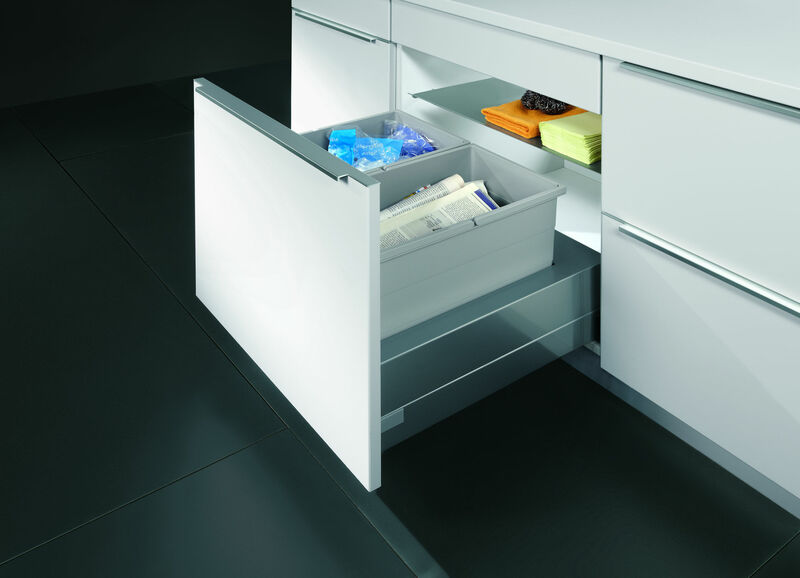 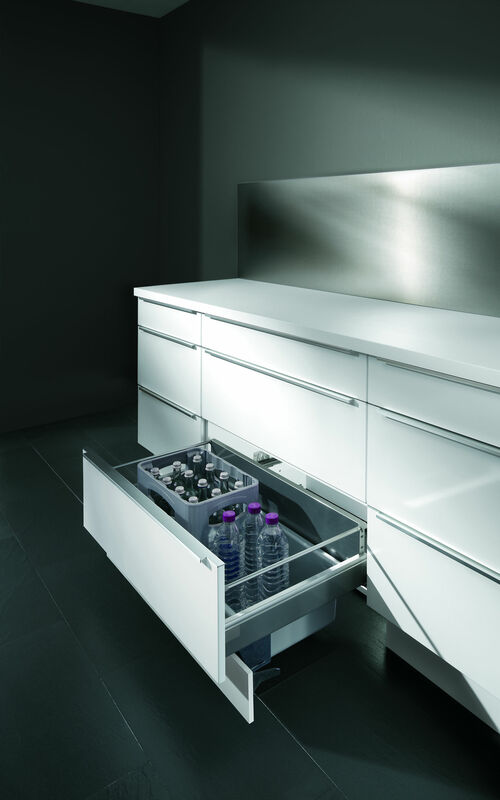 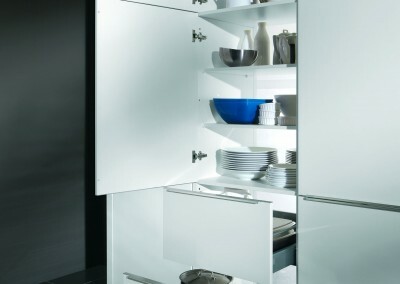 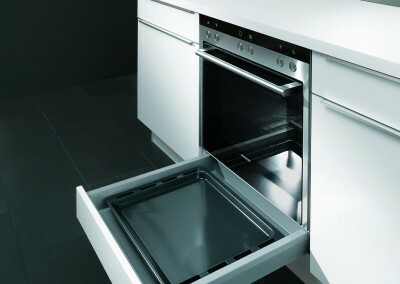 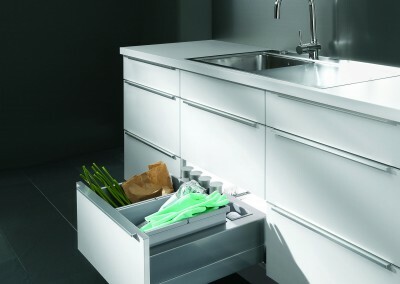 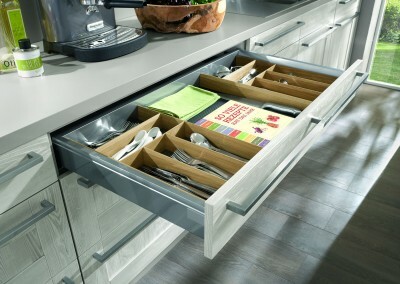 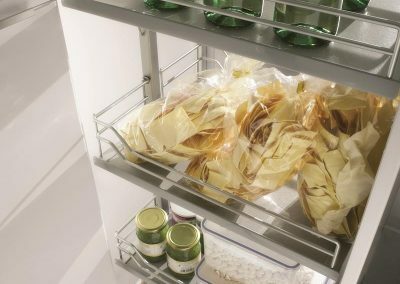 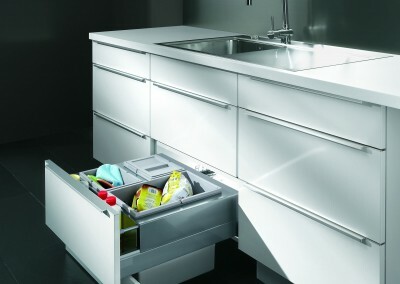 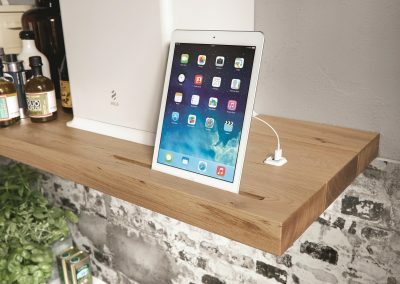 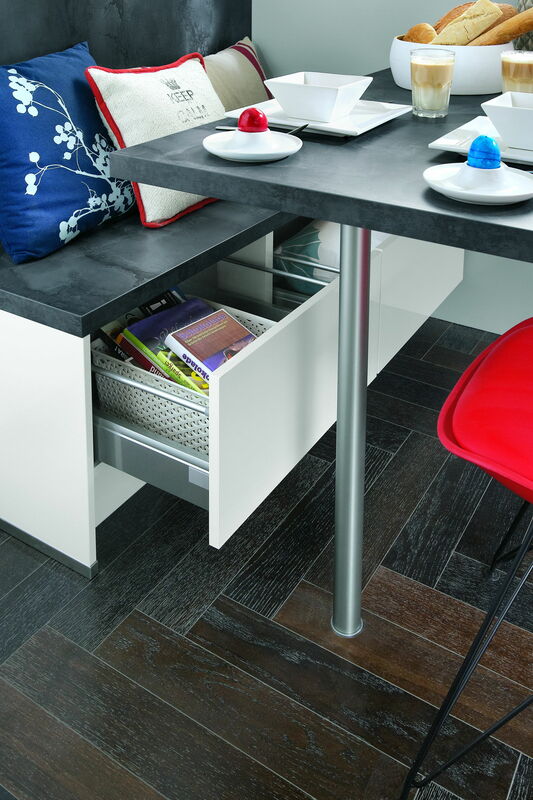 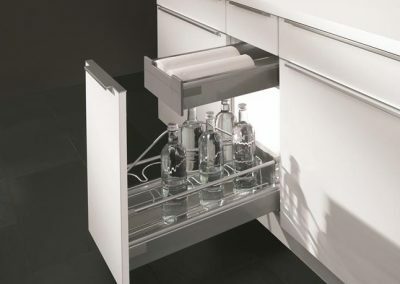 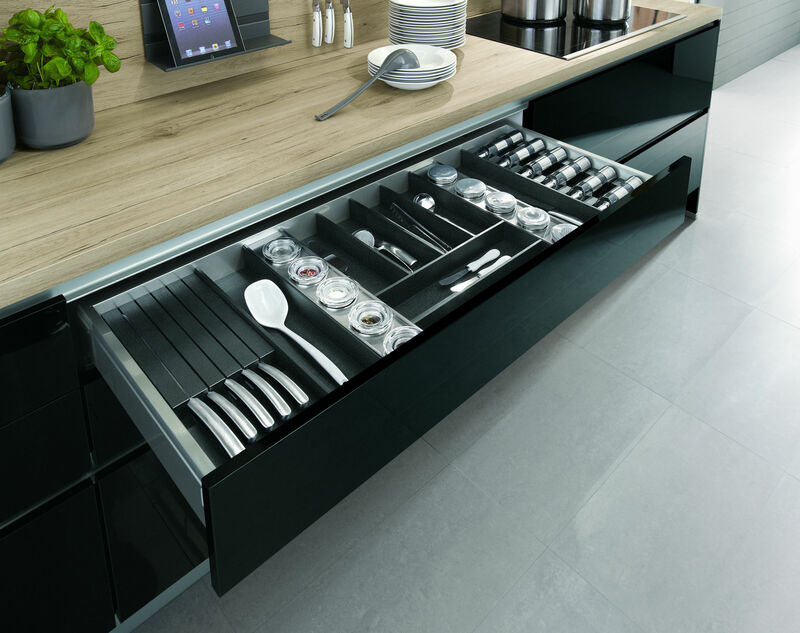 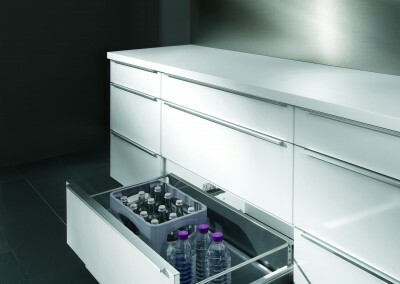 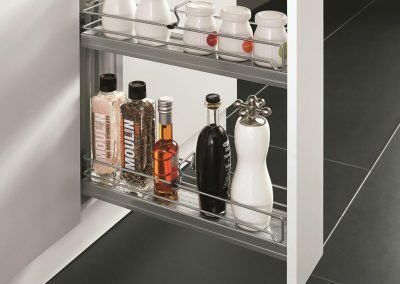 Further advantages of this unique drawer system are more generous storage space and convenient assembly and adjustment. 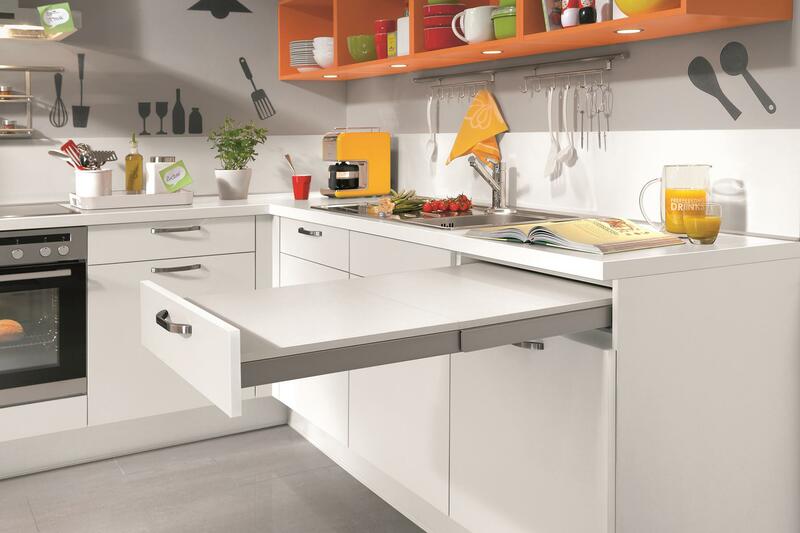 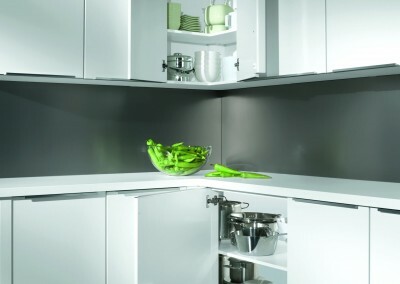 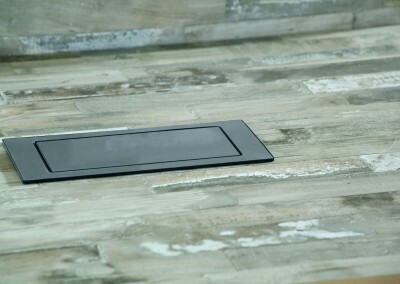 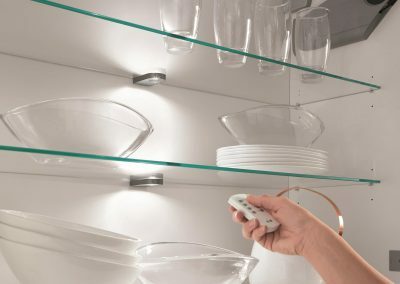 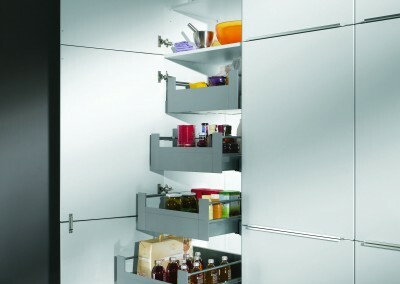 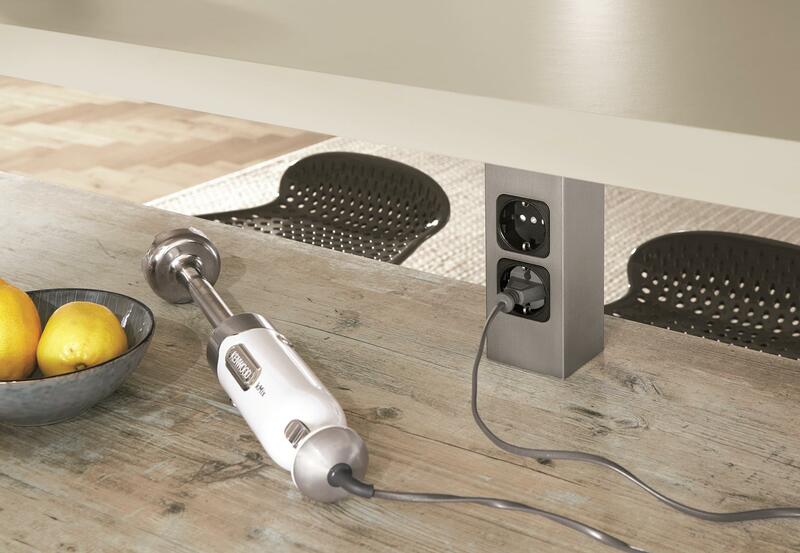 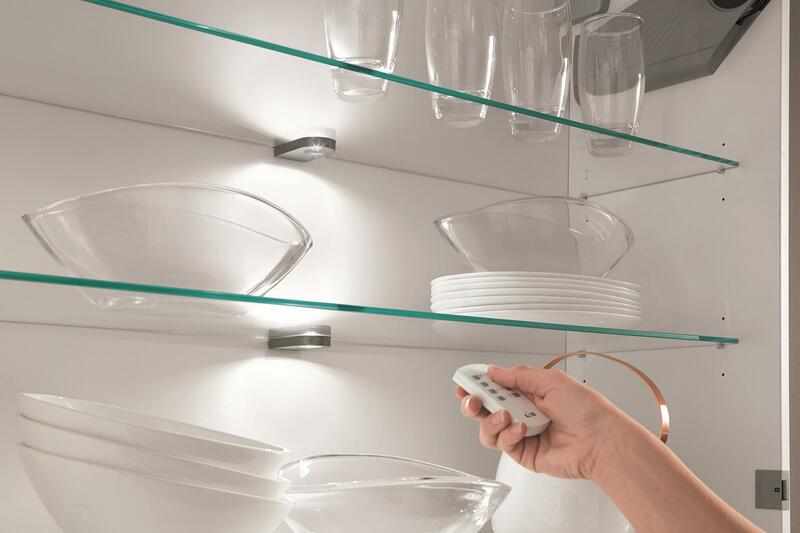 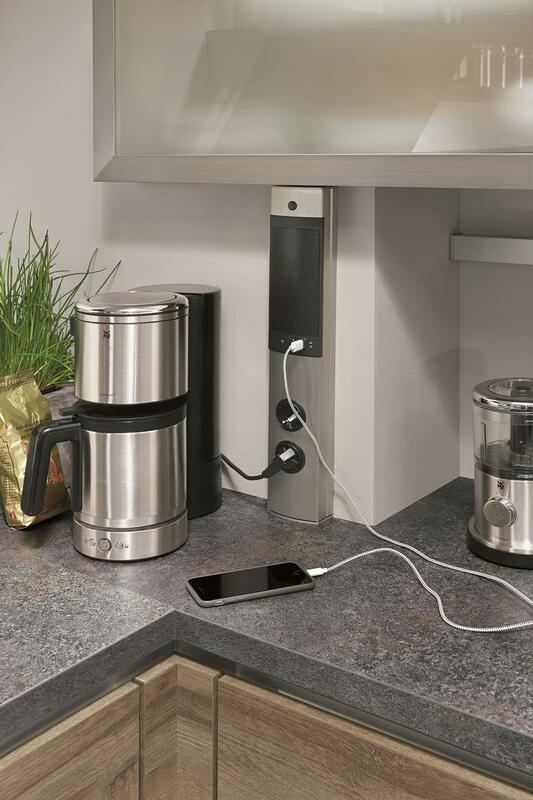 Our kitchens are equipped with Sensys hinges. 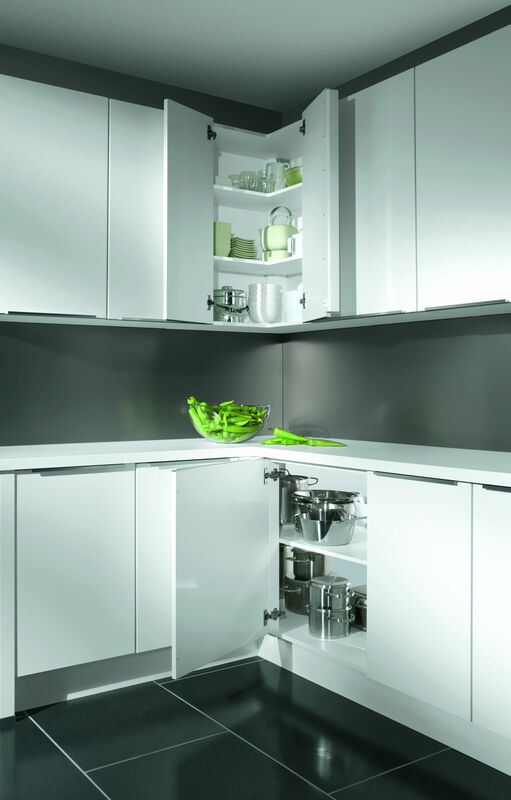 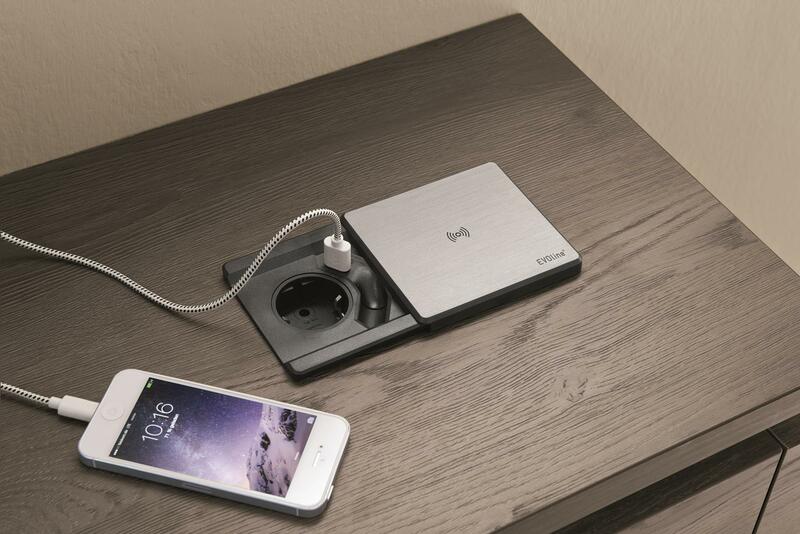 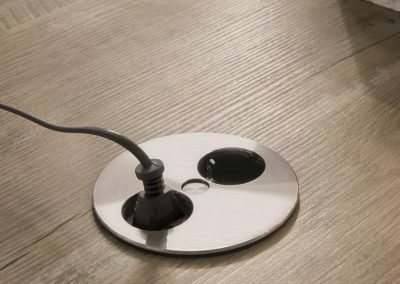 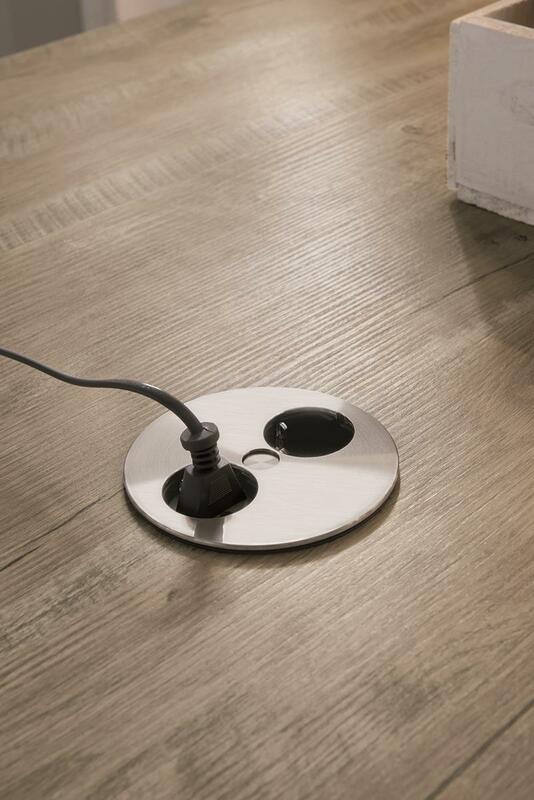 Sensys represents the latest generation of hinges. 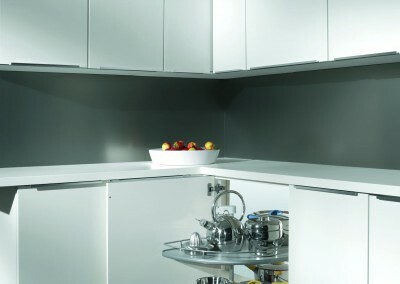 The ” Silent ” -Absorption is integrated invisibly into the hinge. 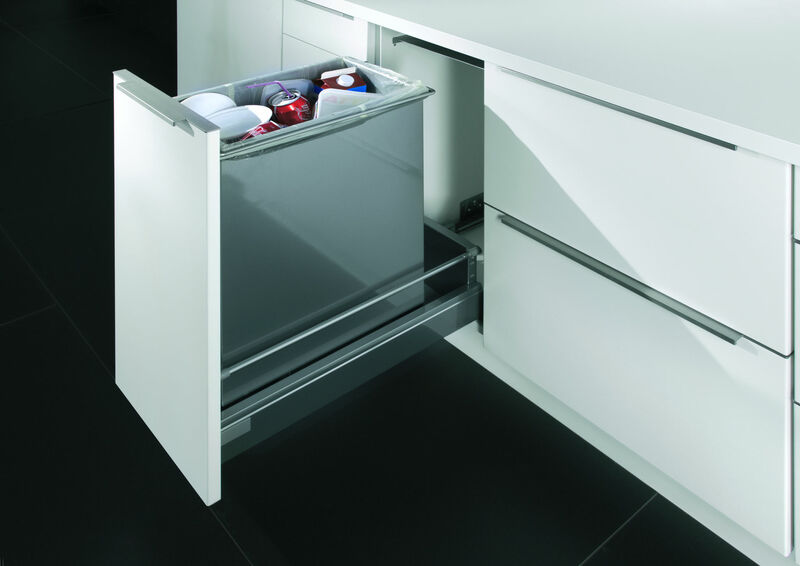 An innovation that meets the highest standards of comfort and functionality. 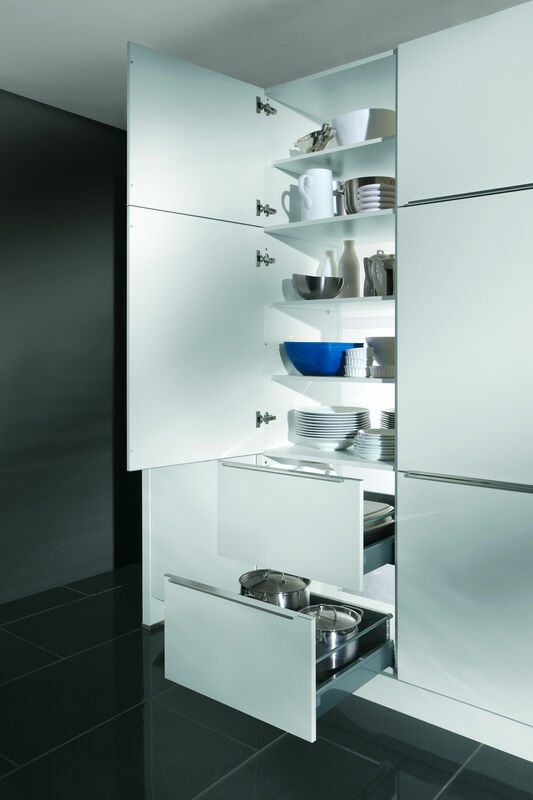 The doors close smoothly and quietly with a slight wrist movement. 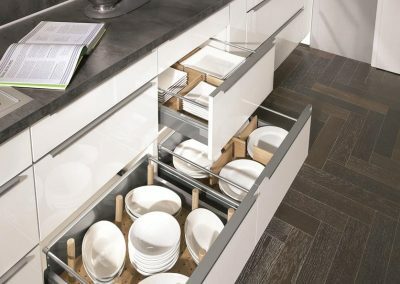 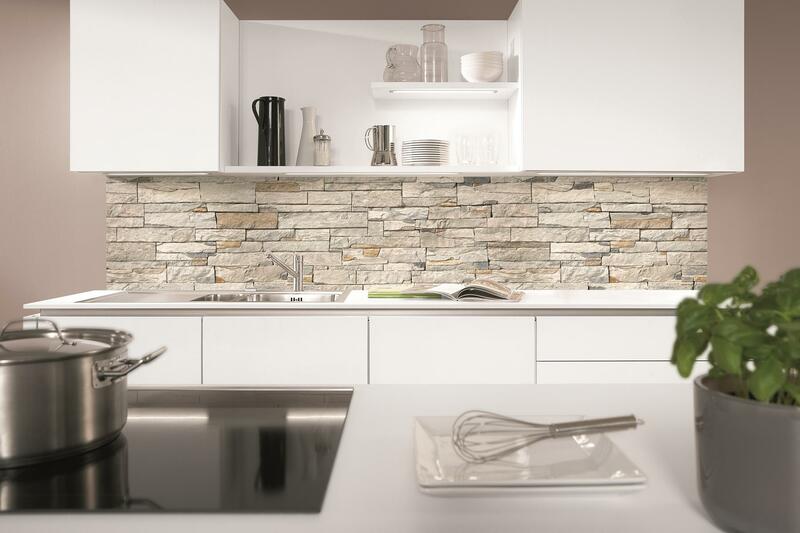 A beautiful kitchen work has a lot to do with a perfect kitchen organization. 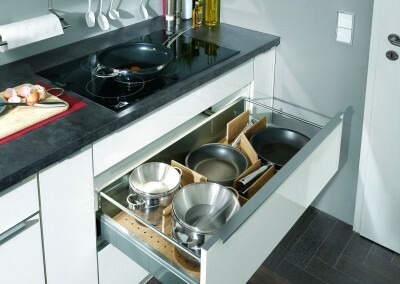 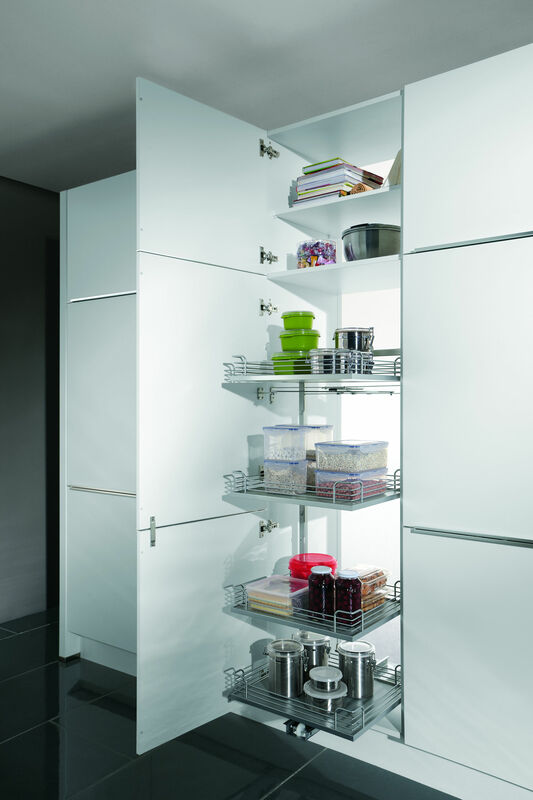 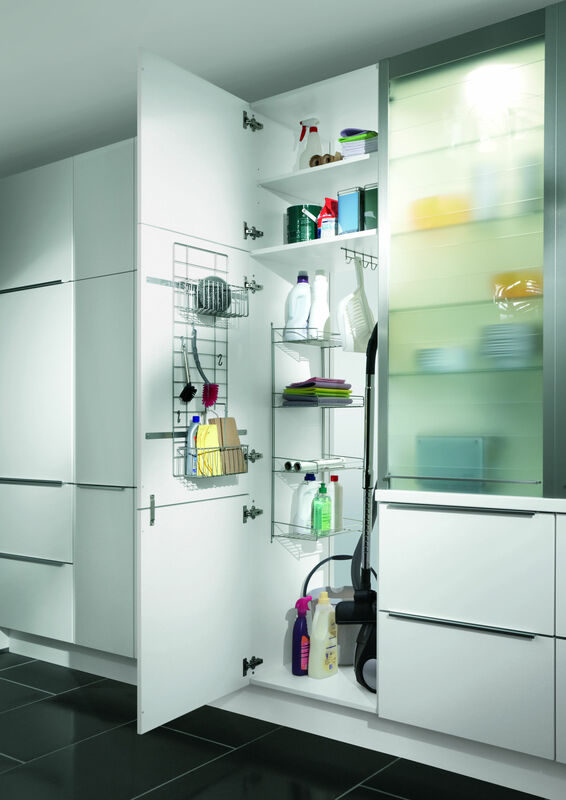 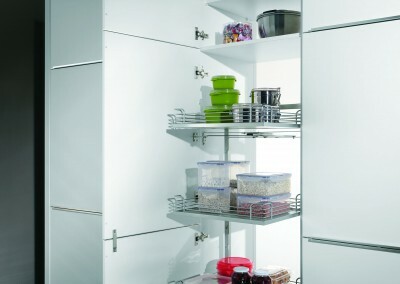 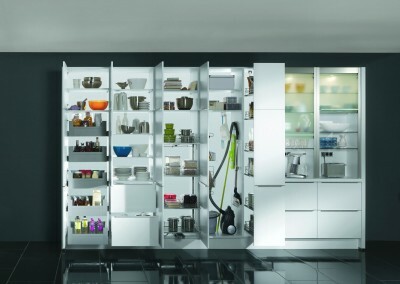 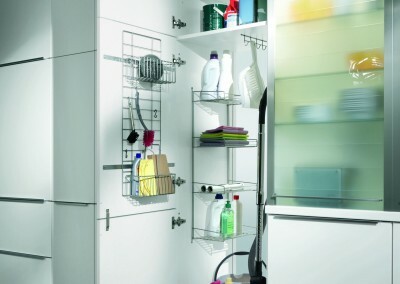 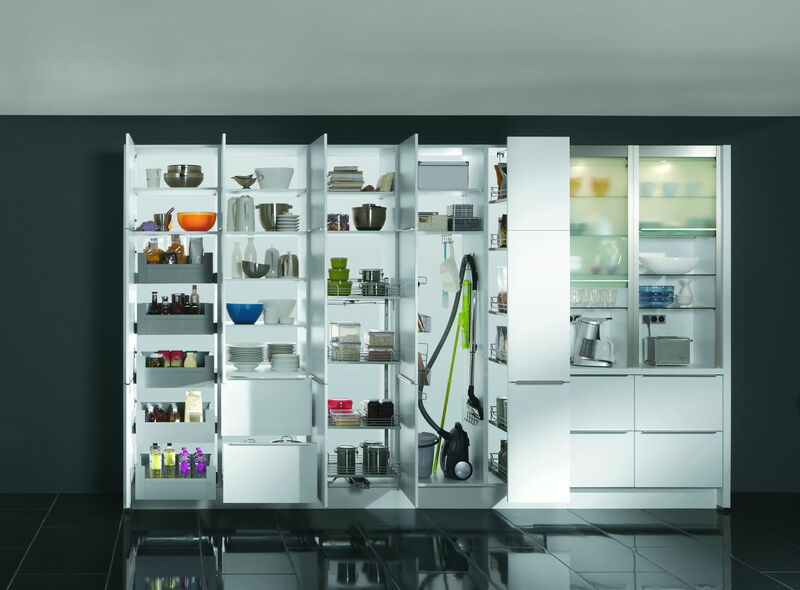 A perfect kitchen organization facilitates everyday kitchen work , creates order and gives a better overview. 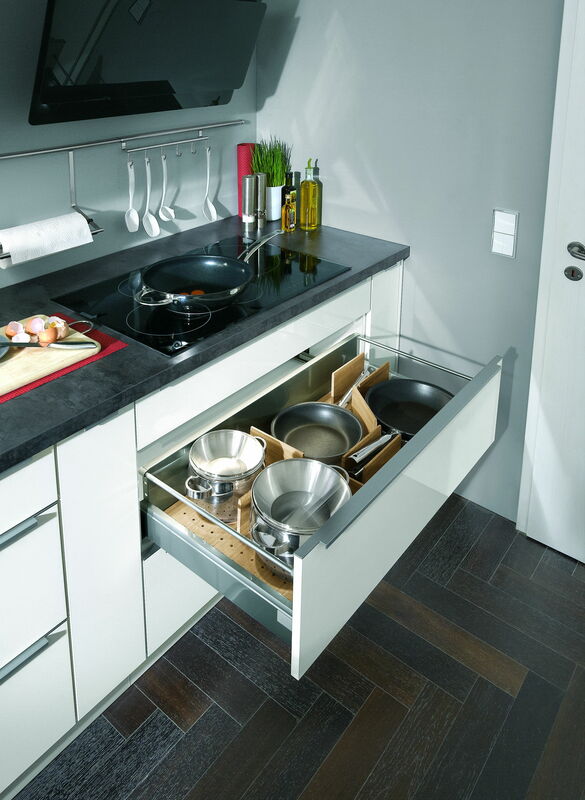 We know that the demand and needs of our customers vary widely, therefore we offer a wide variety of kitchen utensils for various kitchen modules. 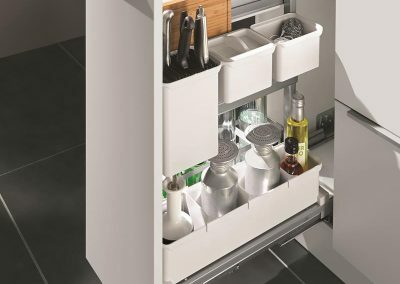 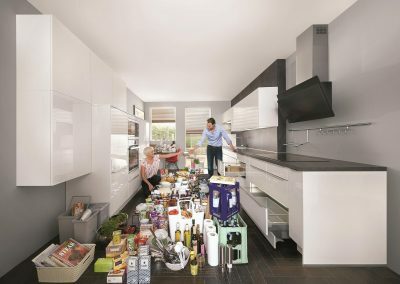 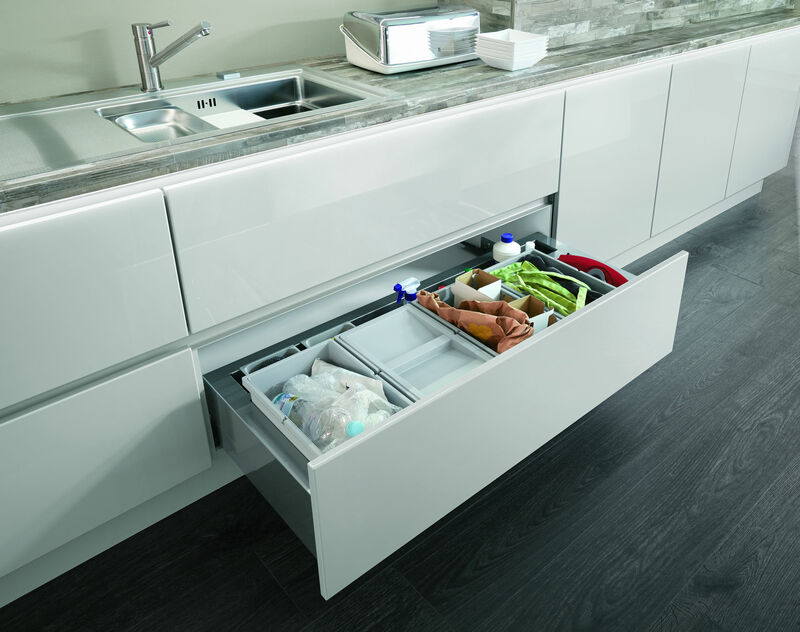 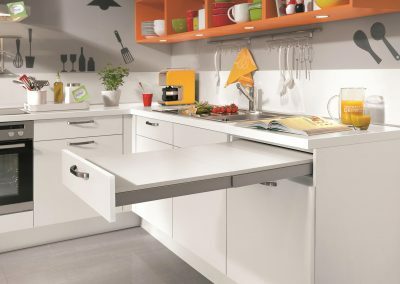 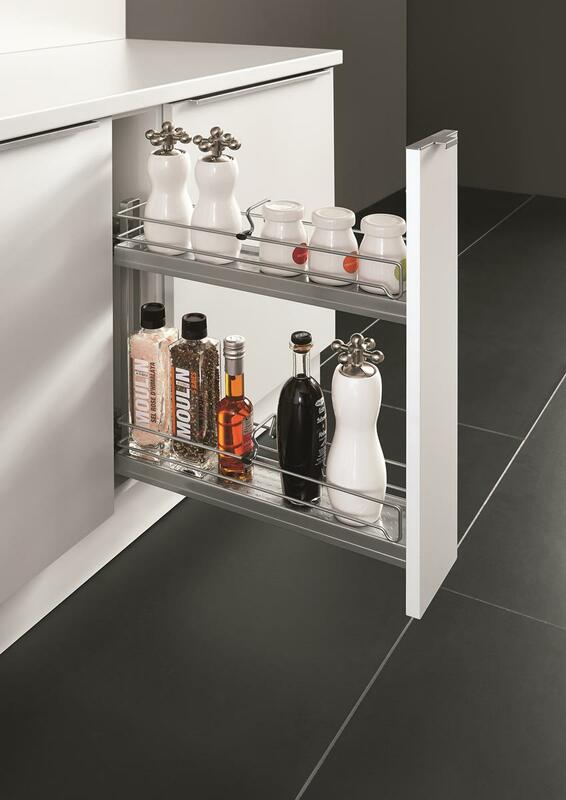 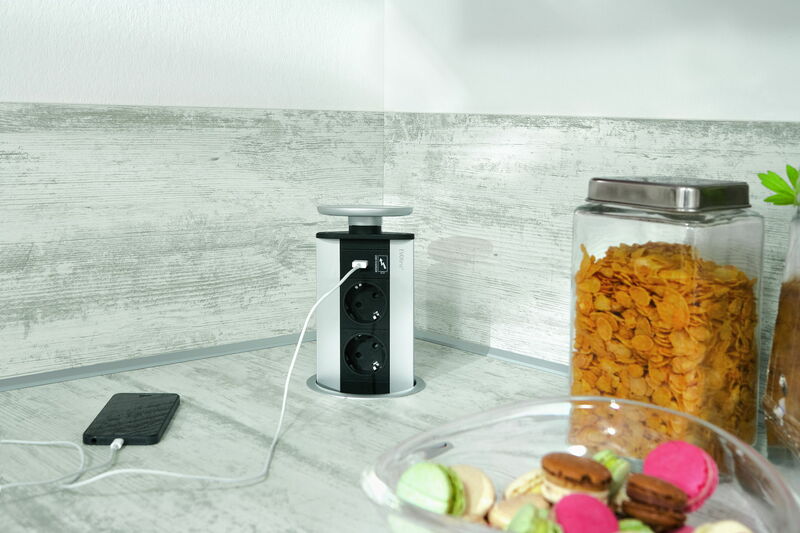 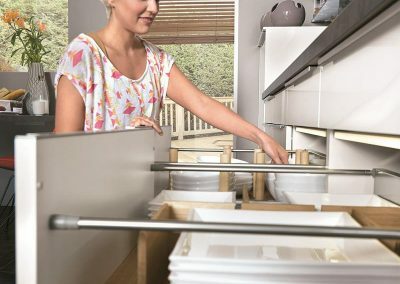 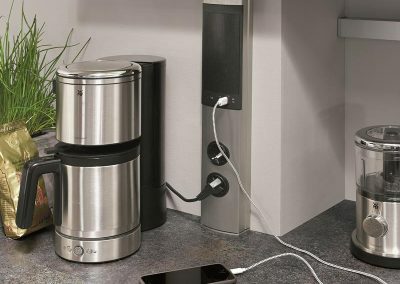 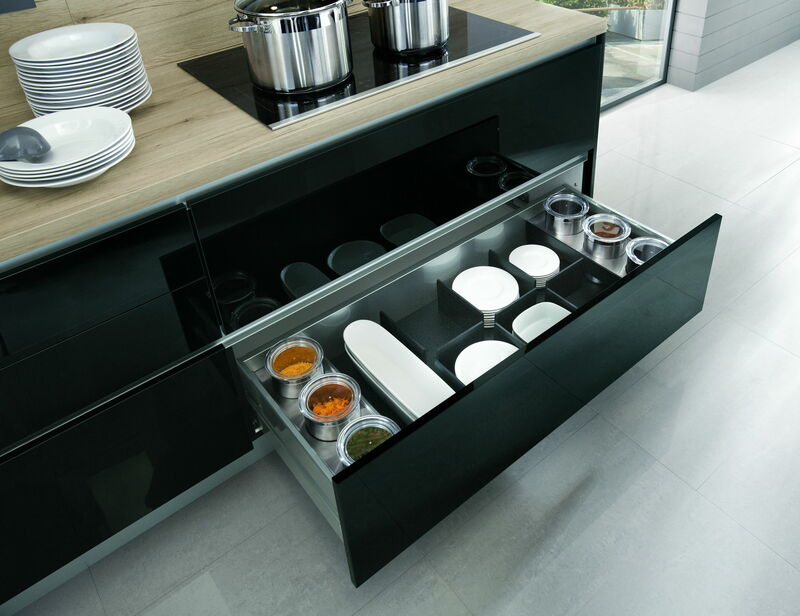 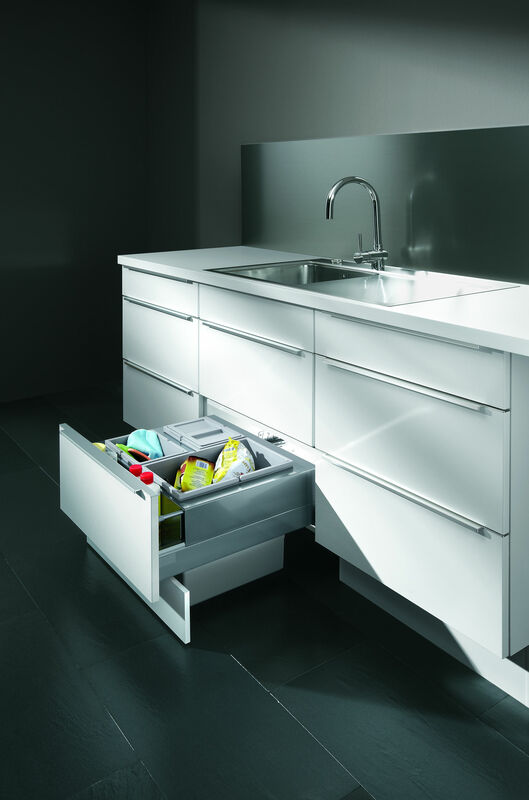 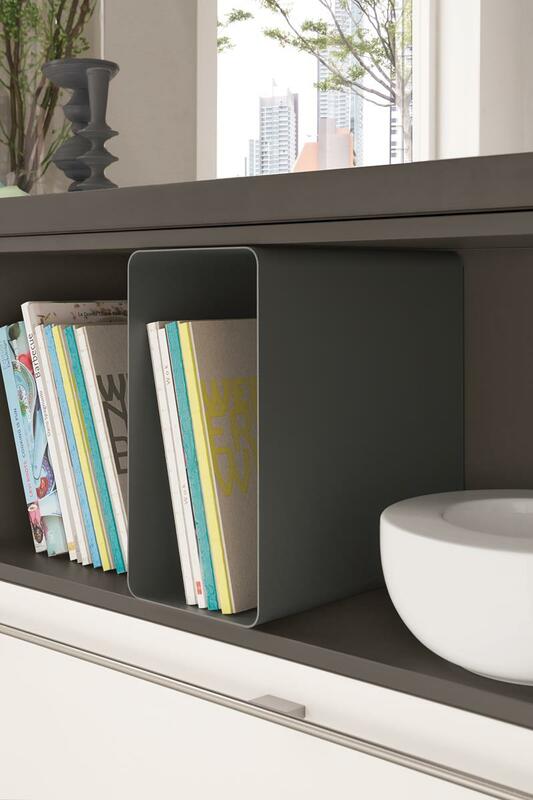 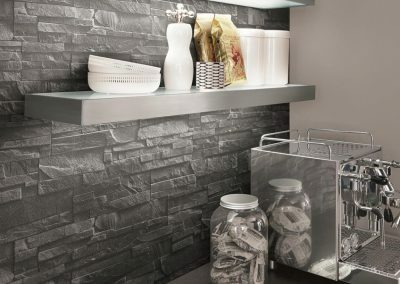 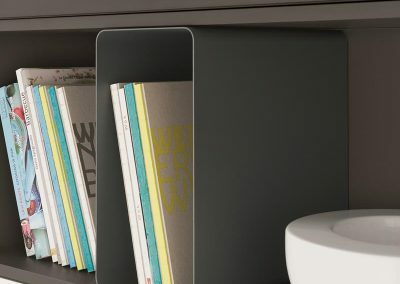 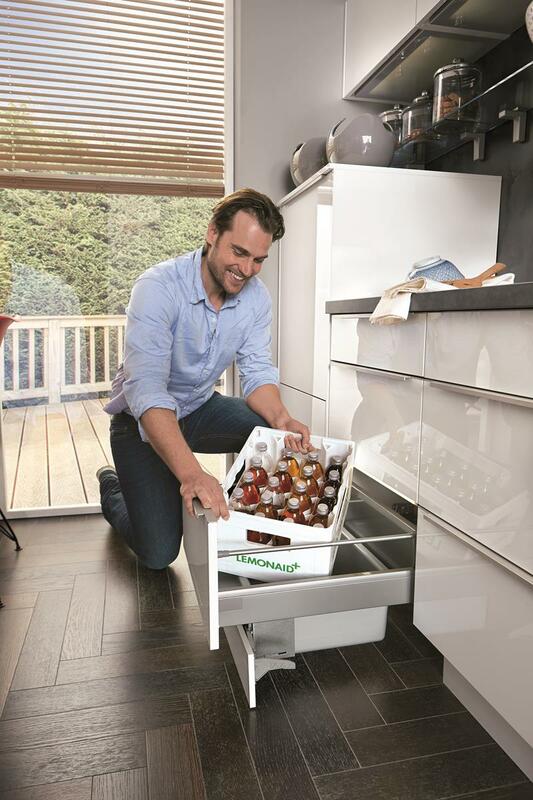 You decide according to your preferences which drawer or waste separation system suits you and whether you are intersted in intelligent corner solutions for more storage space.